All Combo Doors come with their Sealant, Screws and Storm Door Hardware Kit. (FREE)Combination Lock Set is 20% off when you buy a door! -DOORS ARE EQUIPPED WITH A FOLDED STEEL EDGE CREATING A DOUBLE SEAL TO PROTECT AGAINST AIR, LIGHT, AND WATER PENETRATION. 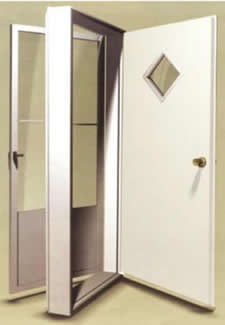 Elixir Door Company Series 7000 Vinyl Steel door is constructed from our thickest gauge of high quality vinyl laminated steel. Our high-quality adjustable stop wood jamb with an optional lifetime warranty weatherstripping. The Series 7000 door is equipped with a folded steel edge creating a double seal to protect against air, light, and water penetration. The Series 7000 features energy efficient polyurethane insulation, a drive-in swivel lock bolt, an optional deadbolt, and a 3-fin vinyl sweep. The storm door with a built-in drip cap comes in three options: conventional, all glass full--view, and full-view. 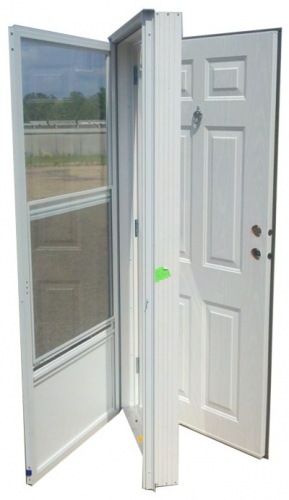 The storm door is 1-1/8" thick with 1/8" tempered safety glass. 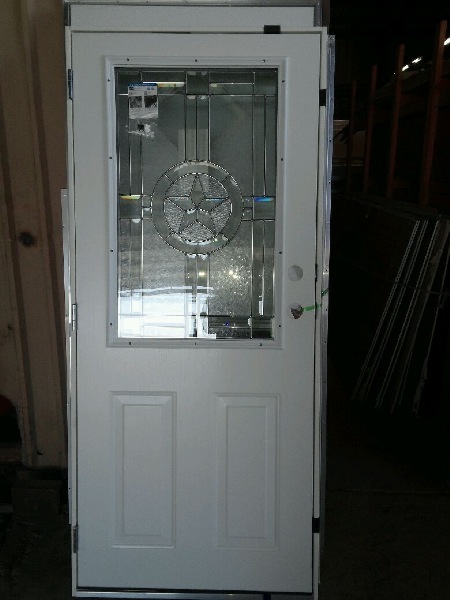 The storm door is available in white. 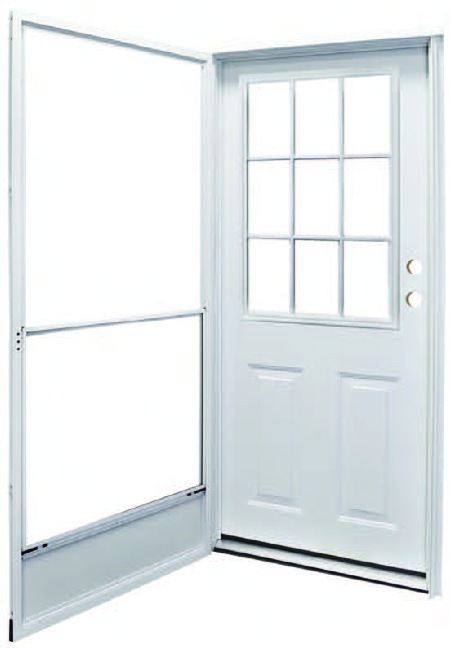 The Series 7000 door is available in white only but comes in several different sizes. 25 gauge steel door core. Stainless steel lock system. Core is edge bored and capped for easy addition of dead bolt. Pre-finished white jamb system. Thermally broken threshold with rubber strip to prevent condensation and floor damage. Metal blind stop with residential style Q-Lon weatherstrip located on three sides. Four leaf sill sweep to stop drafts. Lock-side metal blind stop and integral sealing system. Heavy duty aluminum framed storm door with stainless steel bushings in the hinges with 9-Lite cottage window.